1/2 tsp. 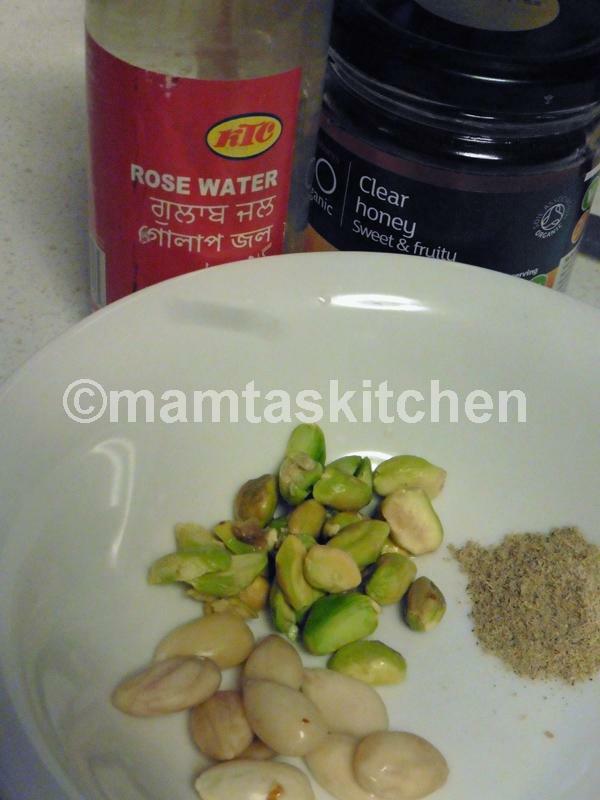 rose water,a available from Indian store or supermarket. If using rose essence concentrate, use only a few drops. A few fresh rose petals, if available. These are wild rose petals, insecticide free. 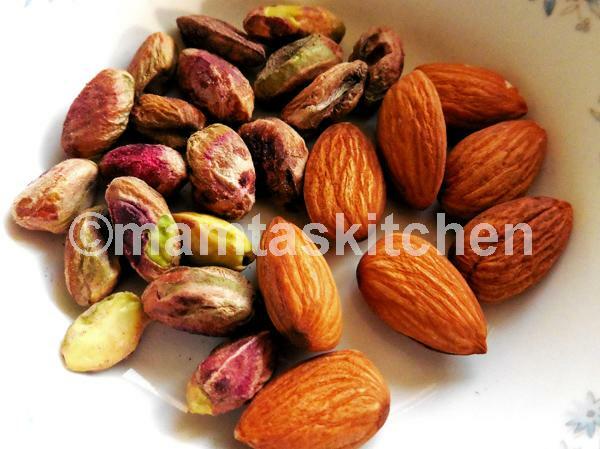 Soak almonds and pistachios in hot water for a couple of hours or heat in a microwave for a couple of minutes. 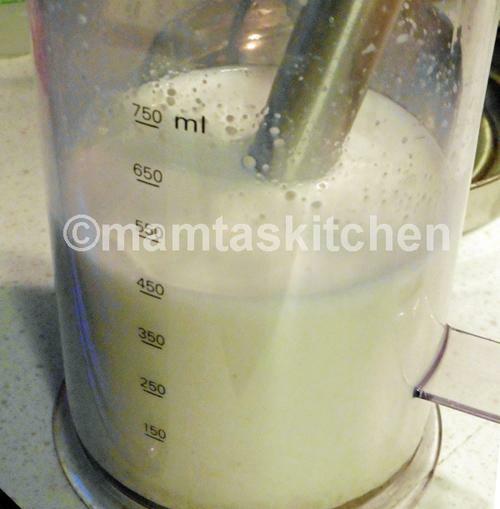 Place all ingredients, except ice, in a blender and blend until smooth. 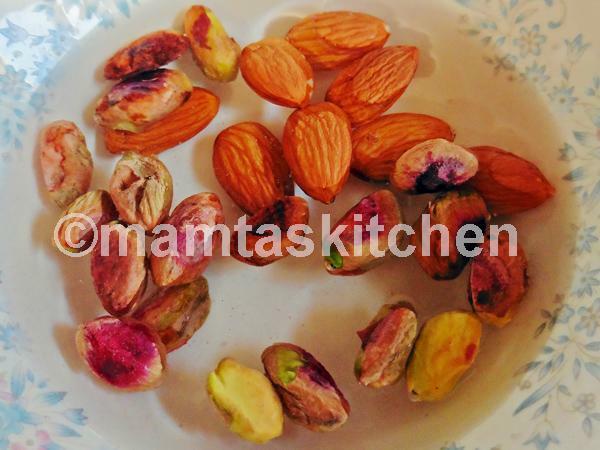 It takes a couple of minutes to blend these nuts to paste. 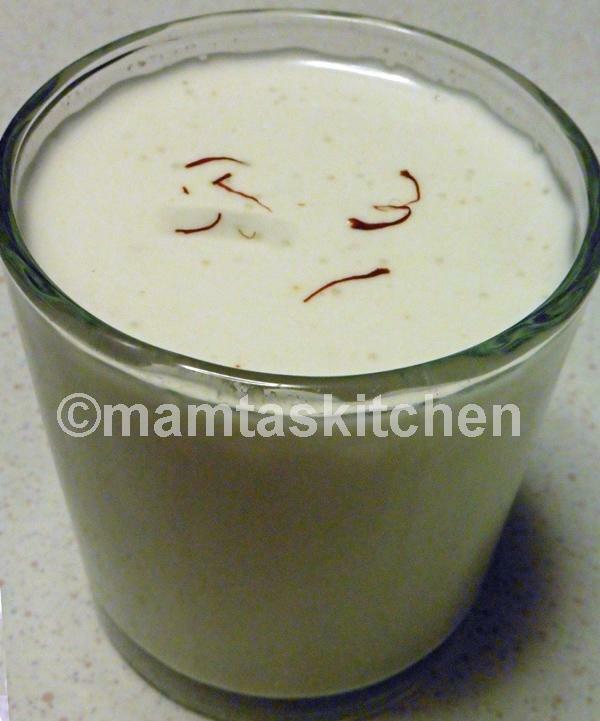 Place a couple of ice-cubes in each glass and pour the milk shake over. 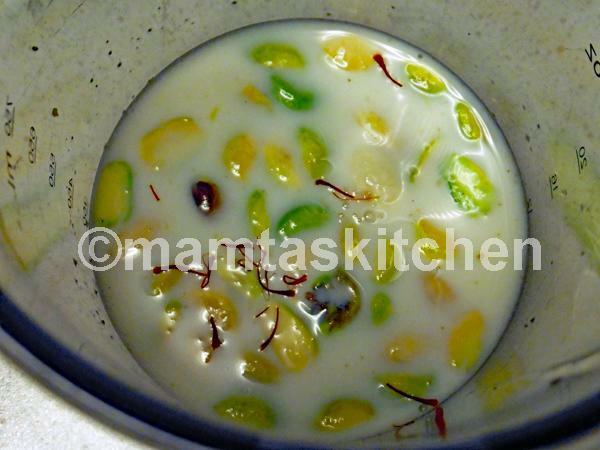 Garnish with a few strands of saffron, and rose petals, if you have any. It can be made in advance and kept in the fridge. Don't add ice and rose petal garnish until just before serving.